I’ve long coveted a soda machine for my home, because I love drinking sparkling water and hate schlepping 12-packs of seltzer home from Key Foods. The obvious choice would be to get something from SodaStream, the soda machine company that was bought by Pepsi for $3.2 billion in 2018 and continues to dominate the market. 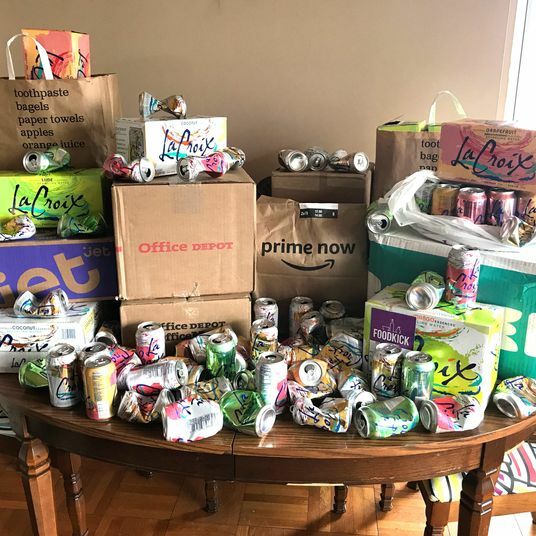 But I’m a seltzer snob, and I wanted to find out if soda makers from SodaStream actually make the best-tasting and bubbliest sparkling water, or if the brand just has the most name recognition. 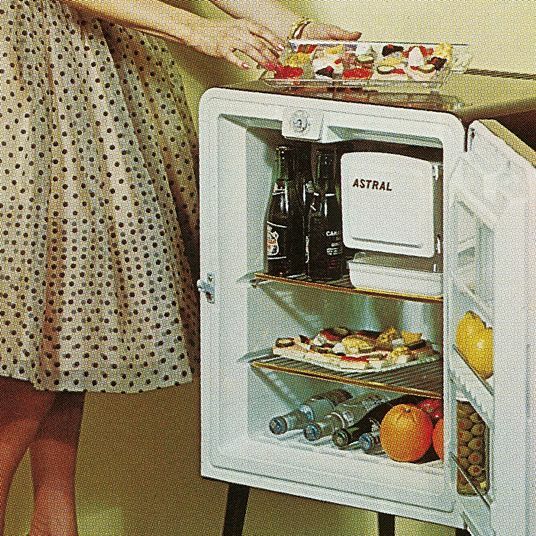 I’m also a kitchen-appliance aficionado with limited free counter space for new gadgets, so if I am going to make space for a soda machine, I want it to look nice. 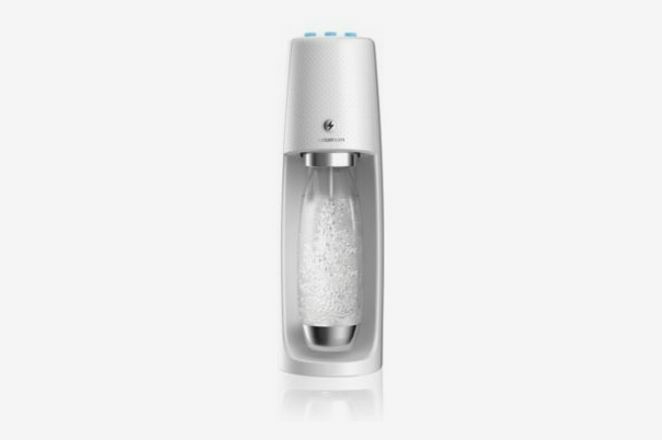 That’s why, for my money, the best sparkling water machine is the Aarke Carbonator II. 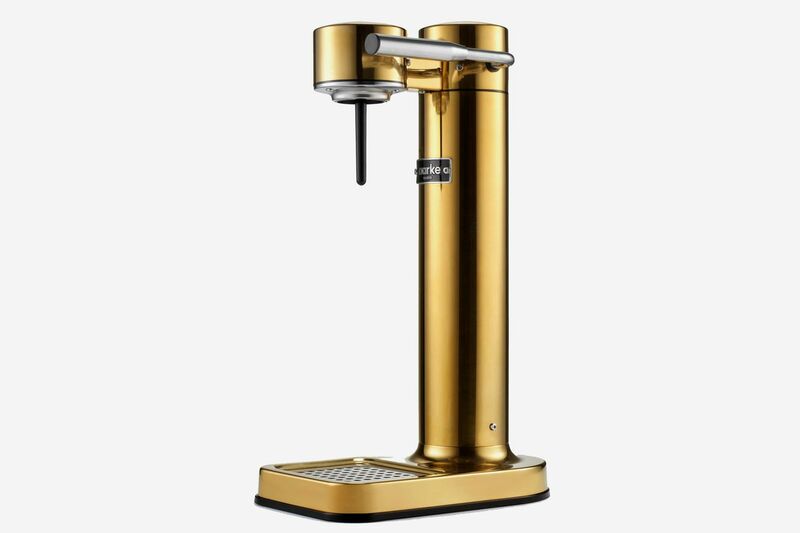 It’s far and away the most attractive of the five soda makers I tested, the one I’d be most excited to place on my own counter and show off. Part of that is because it’s made of stainless steel, and Aarke’s variety of metallic and matte finishes — including copper, silver, white, and matte black — feel more grown-up and elegant than the glossy plastic cases of the SodaStream or the Drinkmate, the other two brands I tested out. 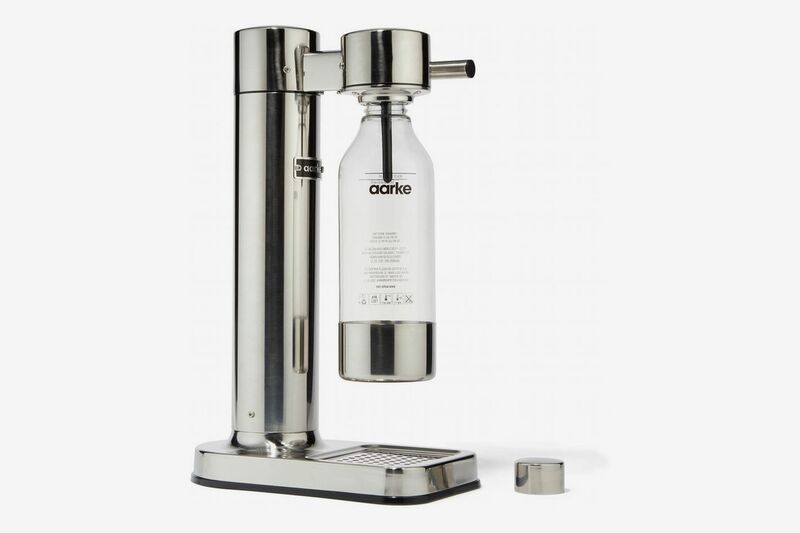 The lever mechanism you pull down to carbonate the bottle of water also adds to the vintage look and feel of the Aarke. 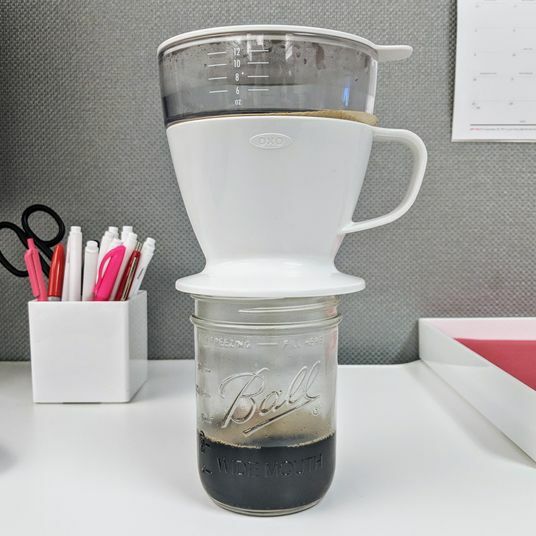 One co-worker likened it to something you’d spot at an old-fashioned soda counter. But that lever is just as practical and easy to use as it is eye-catching. I found the Aarke’s lever much easier to manipulate and control than the wobbly plastic button on top of the SodaStream Fizzi, which I had to press repeatedly and intently to get a fraction of the fizz of that I got with one lever pull on the Aarke. After you screw a full bottle of cold water into the stand, you simply pull that lever down until you hear a hiss, indicating that the carbonation process is complete. Unscrew the bottle, and just like that you’ve got a full bottle of seltzer. And the seltzer you get from the Aarke is satisfying. It’s not as aggressively fizzy as Gerolsteiner or Hal’s, but the bubbles are strong, fine, and even, almost like Perrier. 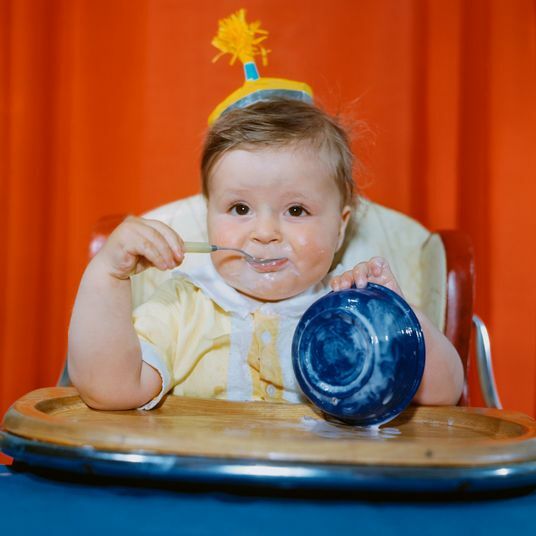 (Though if you do want those tickle-your-nose bubbles, you can play with the lever a bit, to adjust to your taste.) Plus, the carbonation lasts in the bottle, even overnight, unlike San Pellegrino. 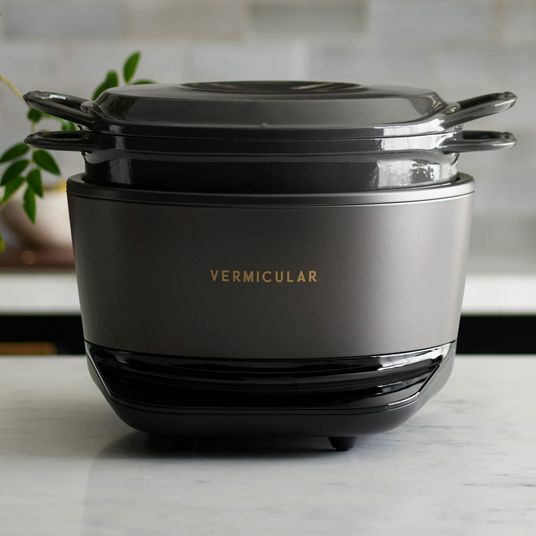 I can’t speak to the longevity of the Aarke — or any of these soda makers, really — since I only tested them for a week, but the stainless-steel body of the Aarke feels sturdy, like it belongs in a working kitchen and could stand the test of time. 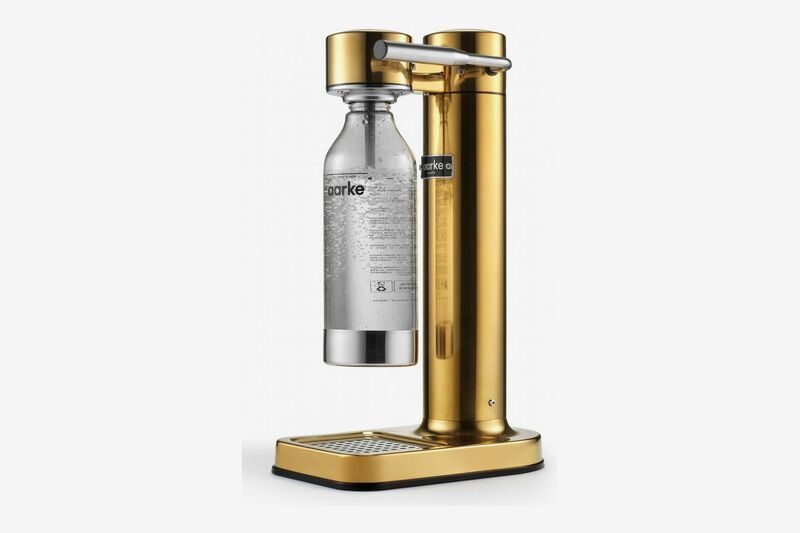 So even though it is more than twice as expensive as the basic SodaStream, I’d say the Swedish-designed Aarke is worth the splurge, since it’s easier to use and looks nicer than the average, plastic soda machine. Though the Aarke was my favorite, I did like some of the other soda machines I tested out. Here are some of my top picks. 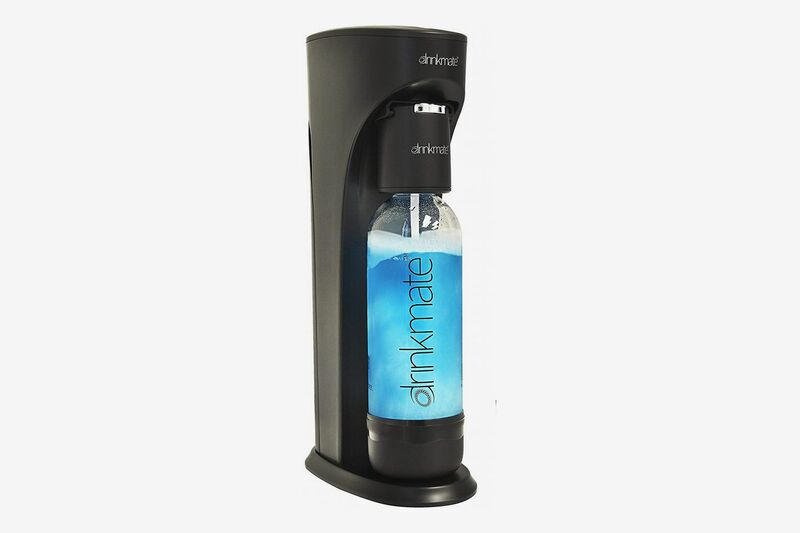 If you are looking for a more budget-friendly soda maker, I would recommend the DrinkMate, which is just $99 on Amazon. The biggest advantage this soda maker has over its competitors is that you can use it with any cold, pulp-free beverage, even alcoholic ones. (Both Aarke and SodaStream make it very clear in their instructions that the only liquid you should be carbonating in their machines is water.) 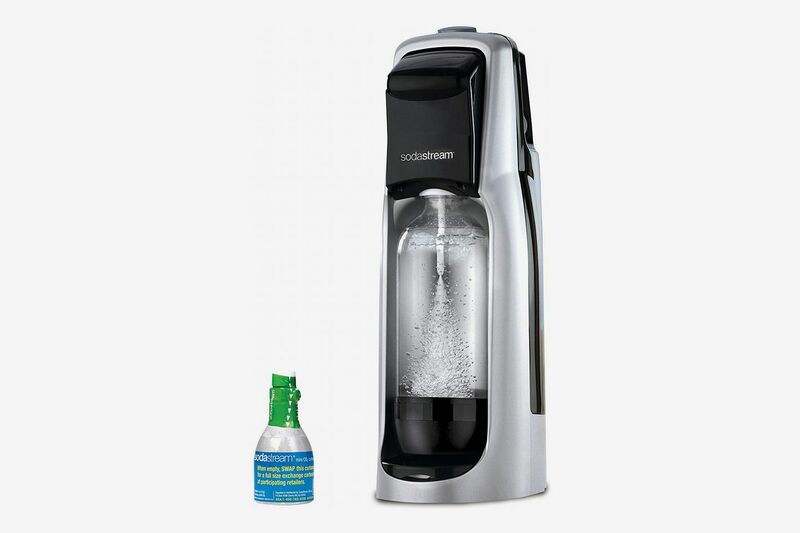 But even if you’re sticking to plain, old sparkling water, the DrinkMate does a quick and easy job of carbonating, using a similar button mechanism to that of the SodaStream. 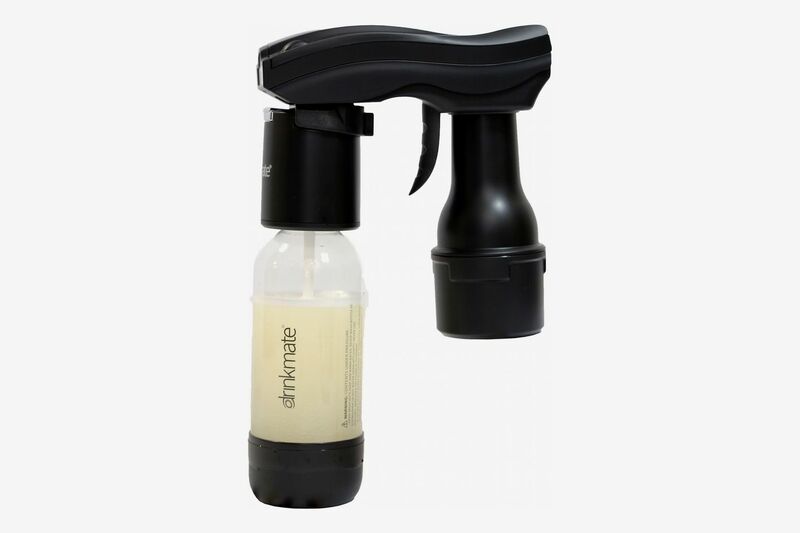 The one disadvantage of the DrinkMate compared to the Aarke, and even to the SodaStream, is that the loading and unloading mechanism requires an extra piece of equipment. 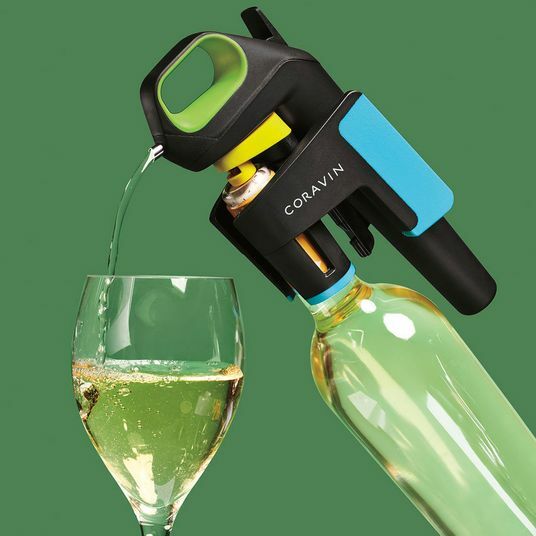 You have to connect a “fizz infuser” to the bottle before carbonating, and then, once the carbonation is complete, you need to release a tab to let out the excess gas and pressure before you open it up. 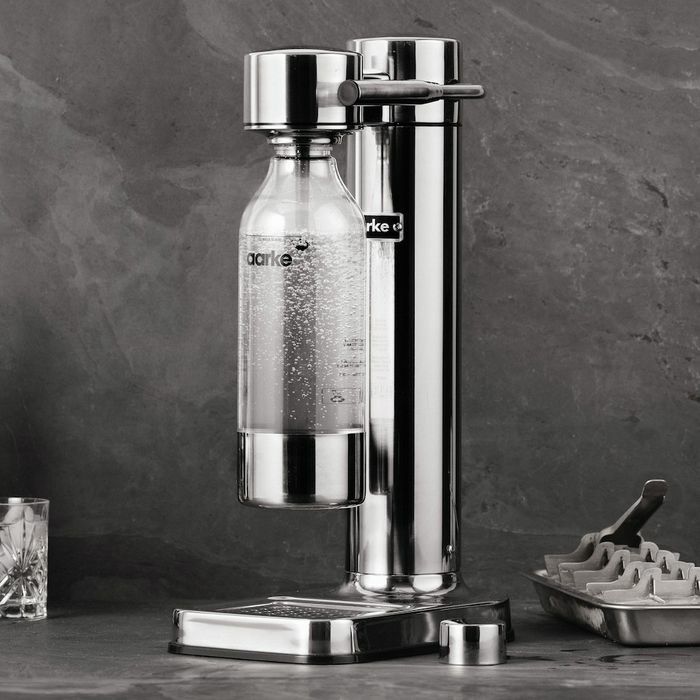 It makes for a couple of extra steps that feel unnecessary if you’re just trying to make sparkling water, especially when the Aarke or SodaStream are straightforwardly plug-and-fizz, but it’s worth the trouble if you want to play around with carbonating different liquids. 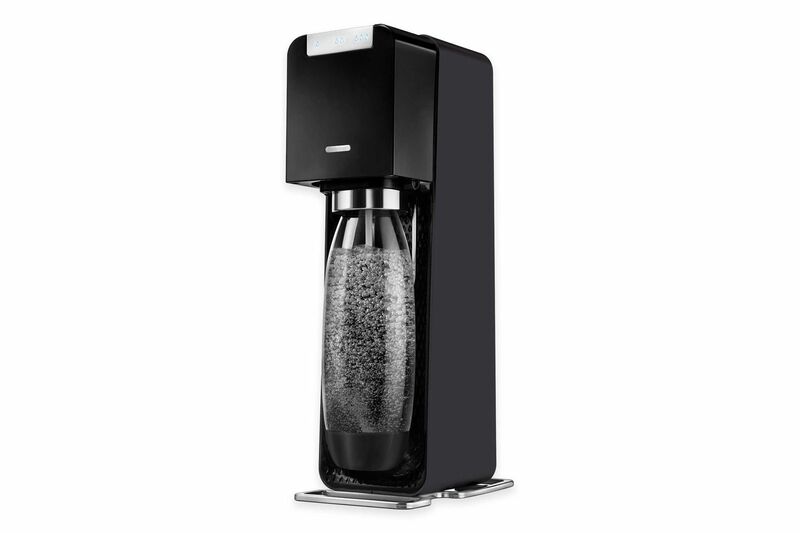 Since I wasn’t impressed by the performance of the manual SodaStream Fizzi, I had low expectations for the SodaStream Fizzi One-Touch. But I was quickly charmed by the electric version of the soda maker. 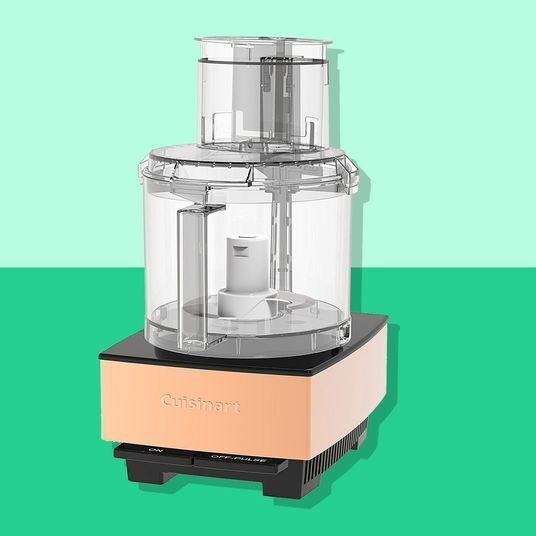 If you’re looking for maximum fizz with minimal effort, this is the machine to buy. There are three buttons at the top of the machine, indicating light, medium, or high fizz. 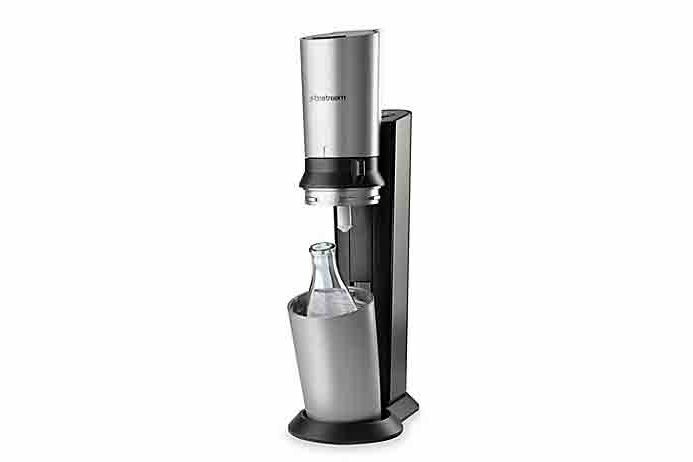 All you have to do is insert the bottle, double-tap the level of fizz, and let the machine do the work. 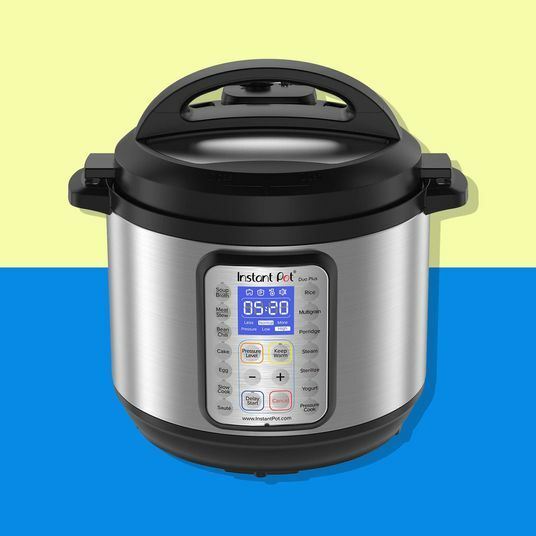 The result is reliable and takes under a minute. 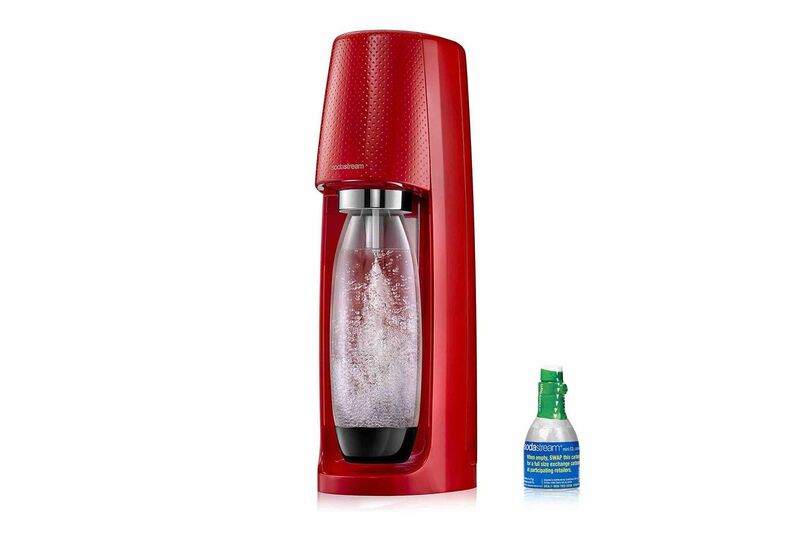 However, like the manual Fizzi or the DrinkMate, the SodaStream Fizzi One-Touch has a plastic casing that’s far less elegant than that of the Aarke. I was also impressed with the performance of the DrinkMate Spritzer, which is billed as a portable soda maker. It’s about the size and weight of a power-drill, so perhaps a little unwieldy to actually carry to the beach or on a camping trip, as the pictures on the box recommend. 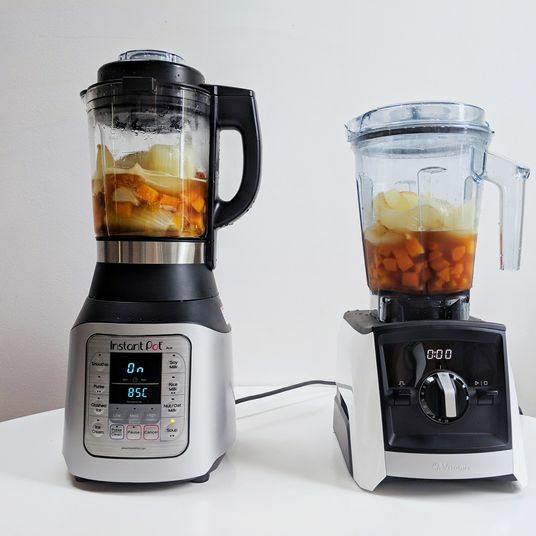 But it works shockingly well for its size, and it easily carbonates about a half-liter of water to the same fizziness as the larger version. 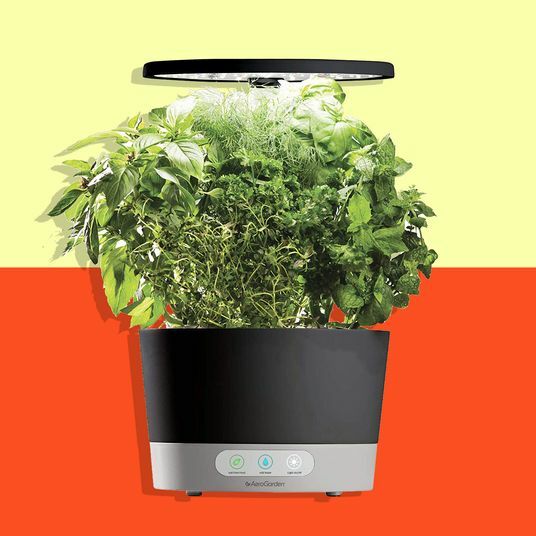 Plus, like the original DrinkMate, this system can handle pulp-free juices and booze. That makes the Spritzer a good choice for those who want to give an at-home soda maker a shot without committing to the counter space.